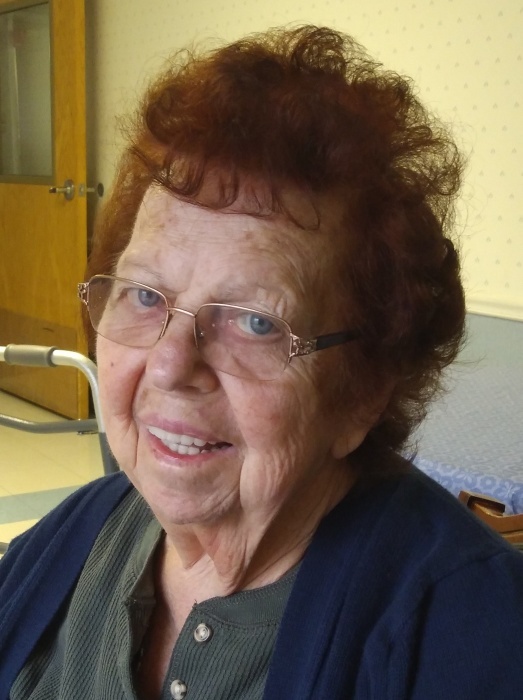 Elizabeth “Betty” (McGillicuddy) Davoll, 83, of North Windham, wife of the late Wilbert “Bert” Davoll, died Thursday October 25, at Hartford Hospital. She was born on April 8, 1935 in Willimantic to the late Edwin and Stella McGillicuddy. Betty was the kitchen manager for St. Mary’s and St. Joseph school in Willimantic, CT for many years. Her passion was spending time with friends and family. She will be remembered for her corn potato chowder served after the Easter Road Race. She will always be remembered for her laugh, smile and big hugs.Betty is survived by a son, Timothy Davoll, and his wife Jill of East Hampton, a daughter Suzanne McMahon and her husband Craig of North Windham, two grandchildren, Dylan and Devin McMahon of North Windham; a brother, Michael McGillicuddy and his wife Terri of Canterbury, a sister, Mary Curtis of Willimantic as well as several nieces and nephews. Her family will receive relatives and friends on Monday, October 29, 2018 between 5:00pm and 7:00pm at Potter Funeral Home 456 Jackson St. (Rte 195) Willimantic. Her Funeral Mass will be celebrated on Tuesday at 10:00am at St. Joseph Church, 99 Jackson St., Willimantic, with assembly in the church parking lot at 9:45am. Interment will then take place in Mansfield Center Cemetery. For those who desire to make a memorial donation in memory of Betty, donations are suggested to St. Joseph Church, 99 Jackson St., Willimantic, CT 06226.